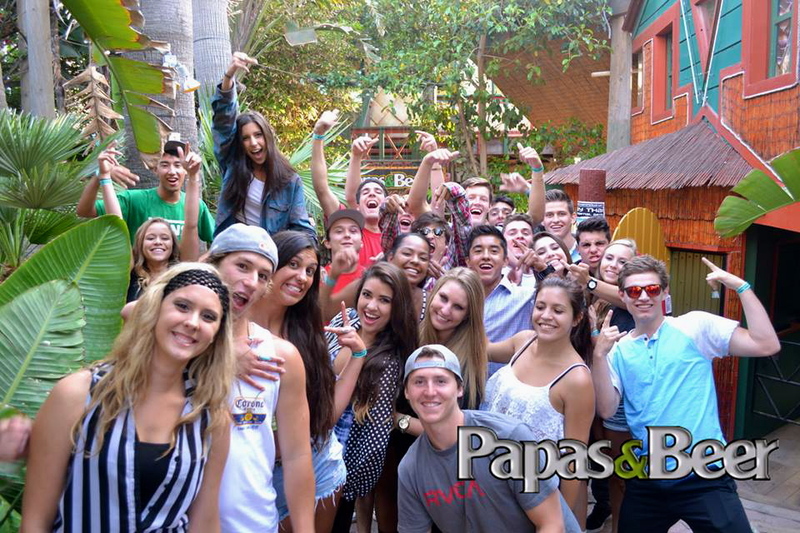 With over 50,000 sq ft of white sand and all day & night entertainment, Papas&Beer is the largest beach club on the West Coast. 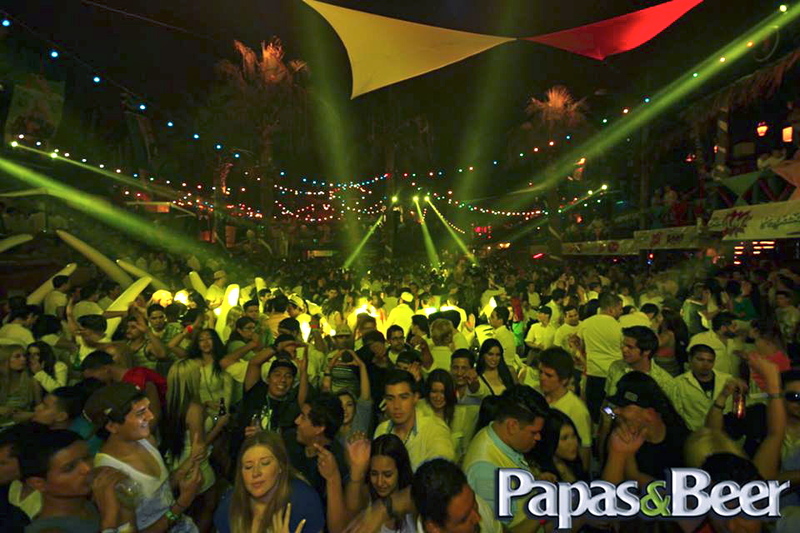 Papas&Beer has been a Rosarito institution for 25 years since it opened in 1988 as a small beach bar with a volleyball court. 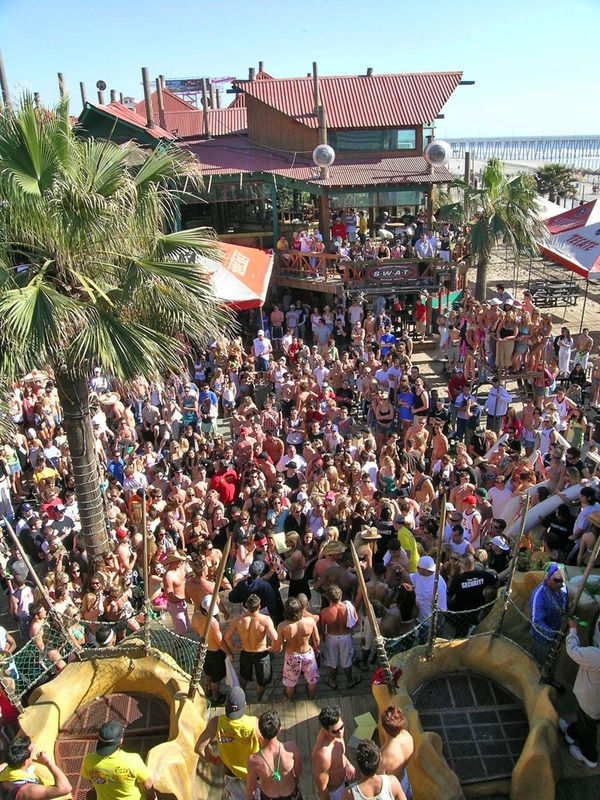 Over the years it has grown to become the largest and one of the most famous beach clubs on the West Coast. 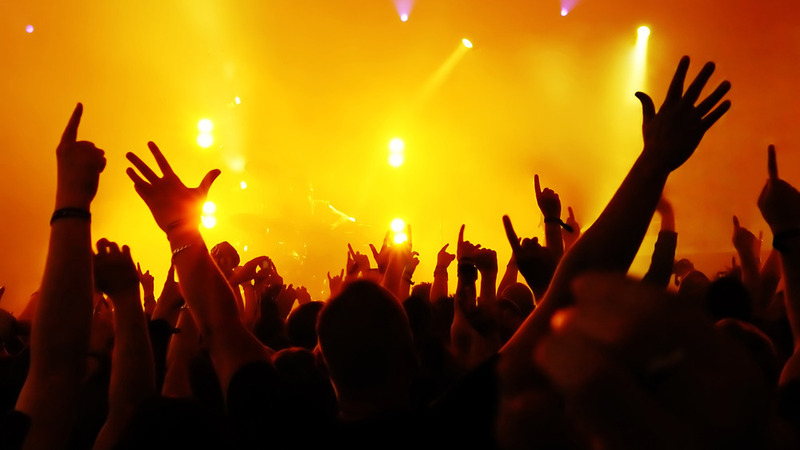 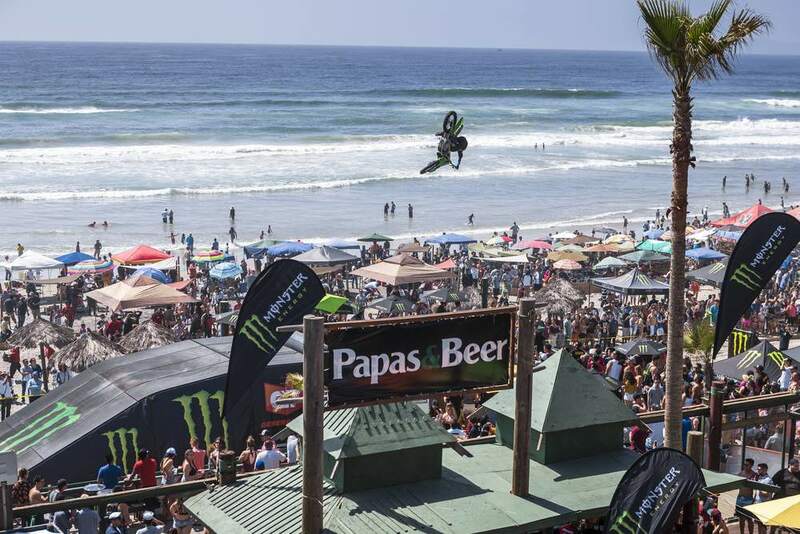 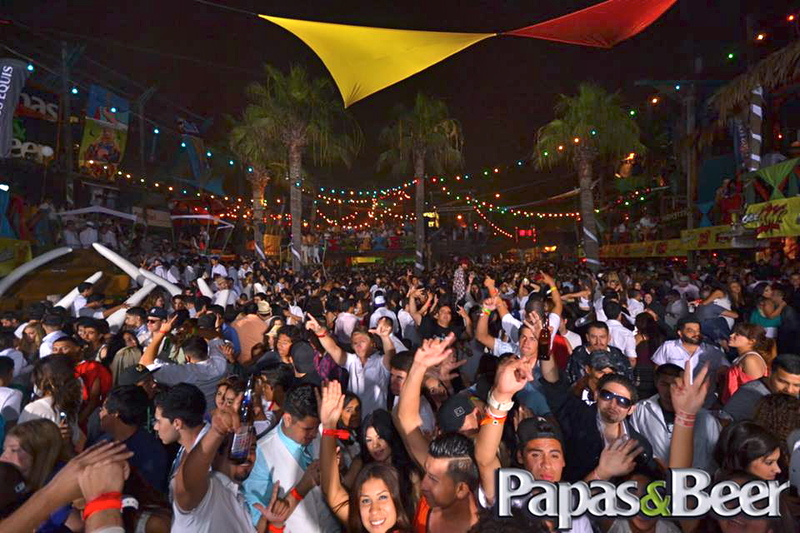 Only a 20 minute drive from San Diego, Papas&Beer Rosarito gives you the opportunity to lounge on the beach during the day with a cold beer in hand and party with thousands come night time. 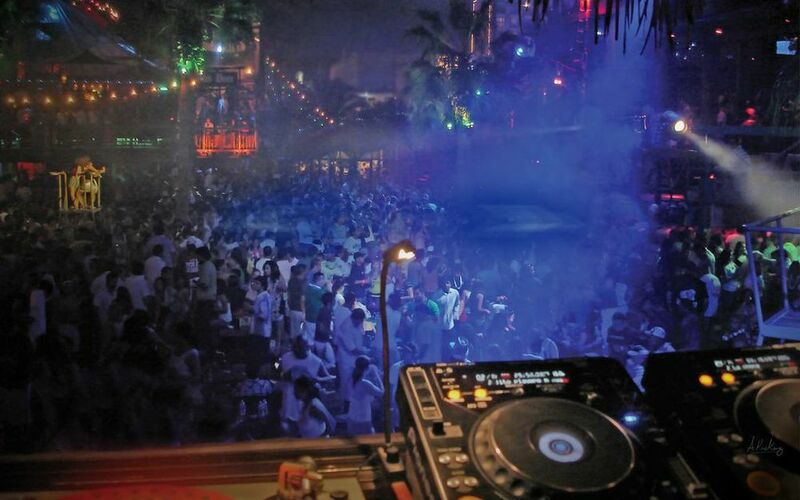 The venue includes everything from 7 fully stocked bars, volleyball court, deck overlooking the beach, swimming pool, mechanical bull etc. 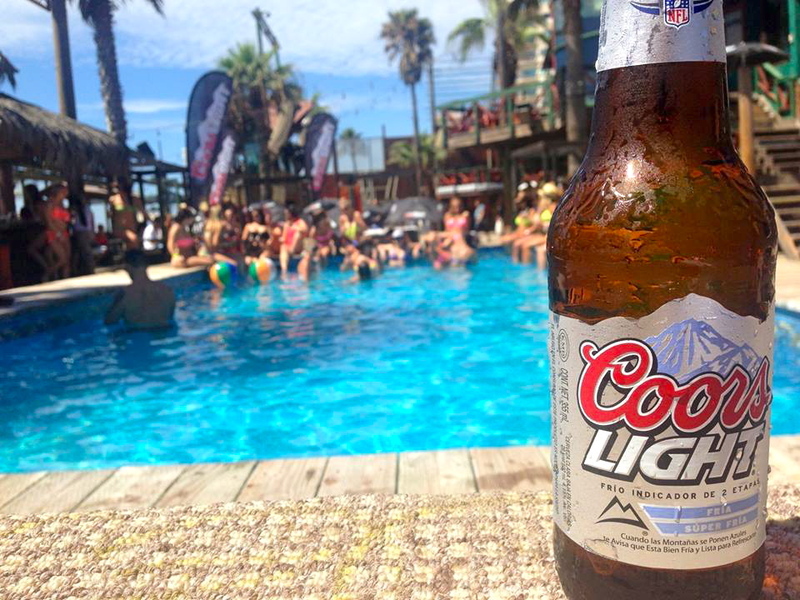 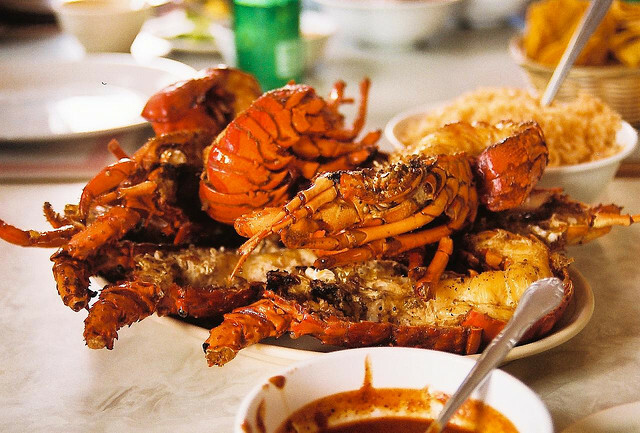 The beachside restaurant allows you to grab some tacos from the bar after a long night of drinking or you can enjoy some Puerto Nuevo style lobster with a cold beer on the patio during the day. 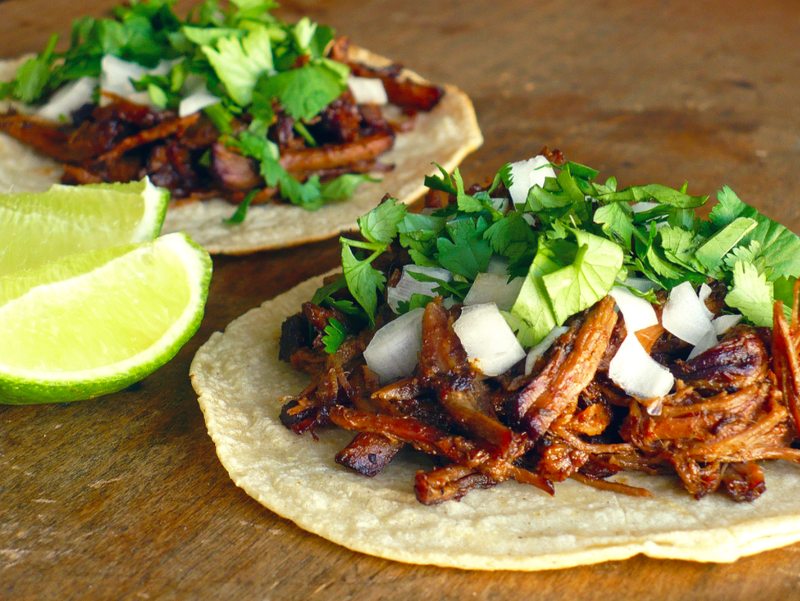 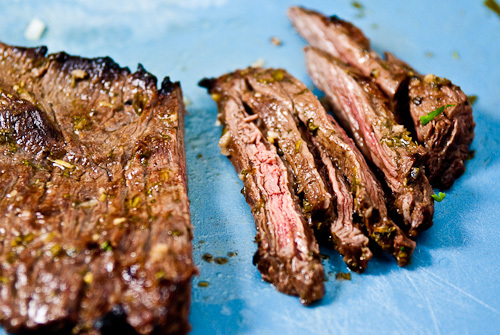 Sample menu items include: Tacos, Puerto Nuevo Style Lobster, Ceviche, Fajitas, Burritos, Nachos, Chips & Salsa and Guacamole.